…doesn’t that sound just lovely? …the title to this piece really resonates with me and I hope you like it too. It fills me up with magical female energy! You may have noticed that this is my first blog post after many weeks absent. 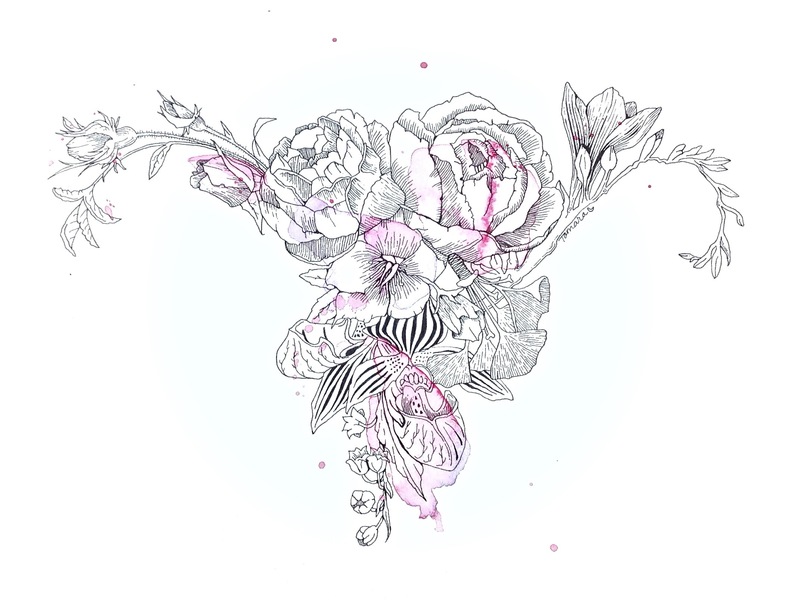 I wanted to start share with you why I have been MIA and at the same time explain why I created Womb Bouquet. This was a huge deal for me. I had mixed emotions even though the operation meant my life would be mine again in so many ways. But I was going to lose my childrens’ first home and my womb space and the energy of that space. The night before the operation I burned some sage and mugwort (my magical herb at the moment). I meditated. I breathed into my abdomen and asked Spirit to preserve my womb energy. I asked that it would always be present and maybe that it would have more space than before. I felt reassurance and strength. I also asked Spirit for a safe return. Recovery has been much slower than I expected and so very tiring. But I feel my womb space adjusting and growing. That’s such a gift. Thank you. So that is how this piece came about and I hope you don’t mind me sharing this with you. I know there are many women who have had or will go through this same experience. I now superlove drawing flowers and am giving myself a #febflowers2018 drawing challenge! See previous posts. Join in! To know which magical herb is your spirit plant visit mythicmedicine.love/elsewhere/ or see the tag in my photo. 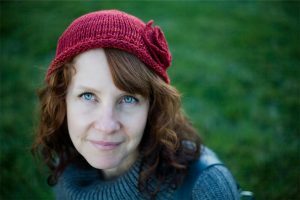 Amber @mythicmedicine also has a kickass podcast! Just this past Thursday was my sixth week of recovery! I am officially healed! I cannot believe how exhausted I was and how long recovery was but I am feeling good! 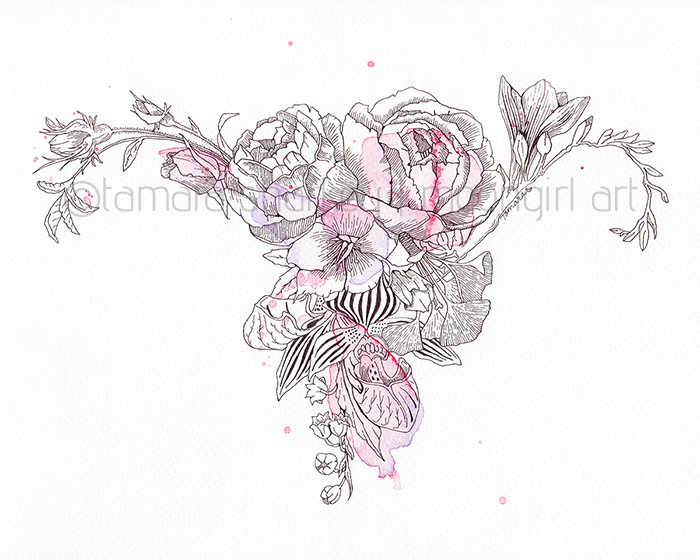 Many of you have inquired about prints of Womb Bouquet. Thank you! I am touched that this piece resonates with so many of you! And I am pleased to say that I will be have prints available in my Etsy shop in the near future! 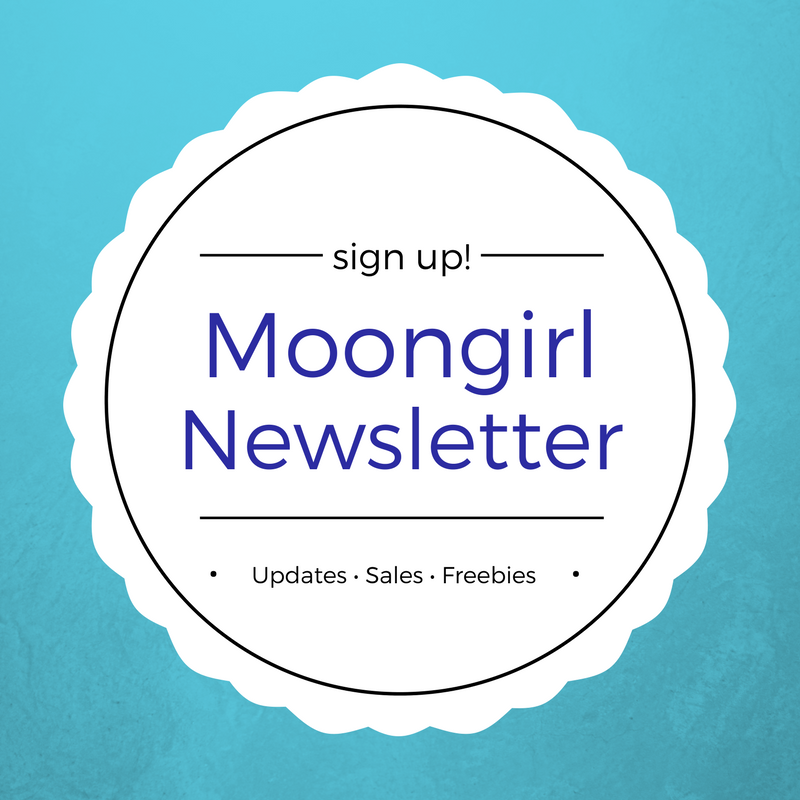 If you do not want to miss any Moongirl Art announcements, sales, and freebies, you can sign up for my newsletter here and get the latest delivered right to your email inbox! Easy-peasy! In my next post I will be sharing with you an art challenge I created for myself while I was doing a lot of couch sitting through the month of February! I hope you are all well and indulging in a little rest and hibernation that goes along with our winter season! If you are in the Southern Hemisphere I am jealous (HAHA!) but I still I hope you are having a fabulous season soaking in the blessed sun’s rays!